Here is a recent article about a built environment that hasn’t been characterized before for bacterial diversity: a meat processing plant where sausages are produced. The authors sequenced the V1-V3 area of the 16S rRNA gene to characterize cold tolerant or psychrotrophic bacteria in a refrigerated meat processing plant. Psychrotolerant bacteria are bacteria that are capable of surviving in cold environments, which include Antarctica, the ocean, and refrigerated food. They sampled various surfaces throughout the plant as well as the sausages that were produced (including slime or opaque drips that appear in vacuum sealed meats). 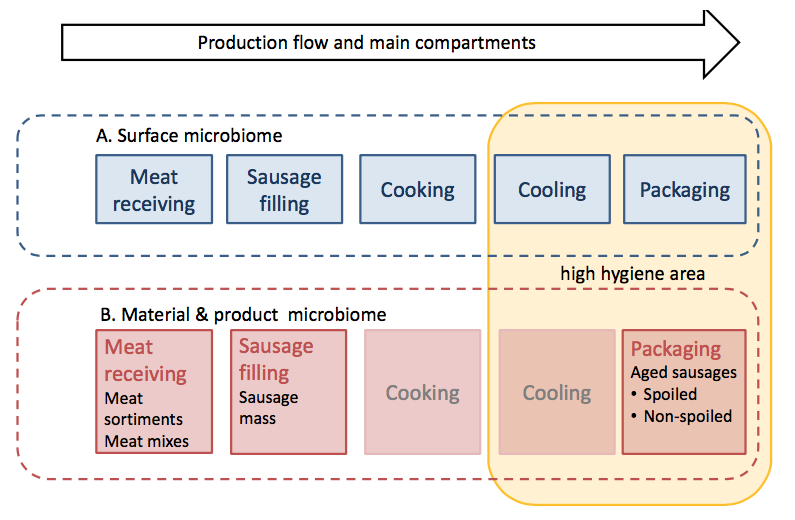 Figure 1 in the manuscript illustrates the areas studied (e.g., no samples collected in the cooking and cooling areas in B) and the flow of production. 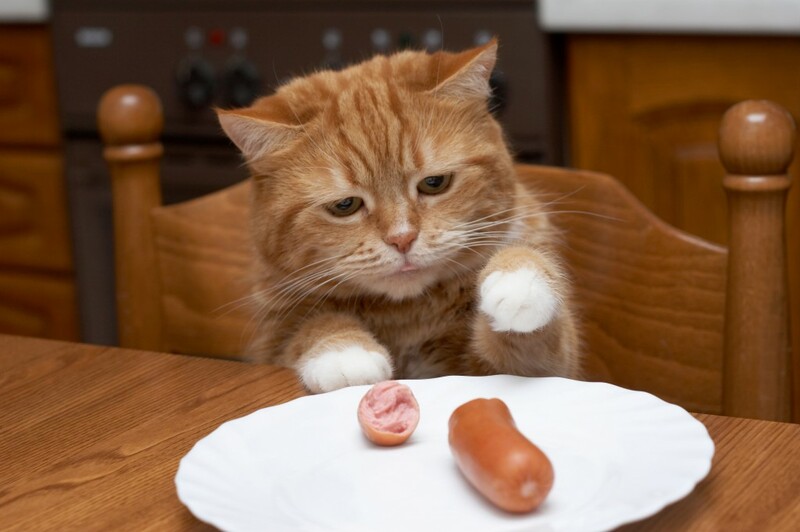 Most of the bacteria identified in the sausages were Firmicutes. 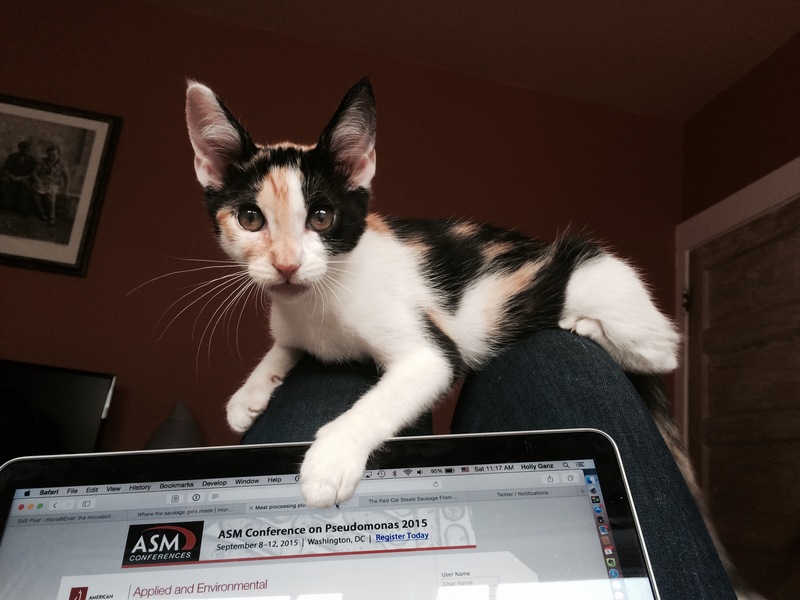 Surface samples had high levels of Proteobacteria, Bacteroidetes, Firmicutes and Actinobacteria. All abundant genera identified were found to contain mesophilic psychrotrophs. Known food-spoilage-causing psychrotrophs were the main bacterial phyla colonizing the processing plant, the raw materials and cooked sausage. 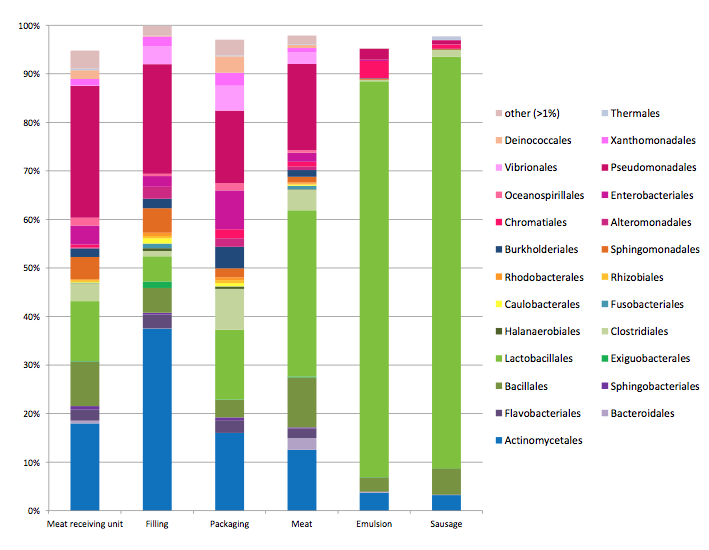 Despite different hygiene practices, microbiota in the standard and high-hygiene compartments did not differ much. Yersinia and Peptostreptococcus were significantly more abundant in the high-hygiene compartments. The observation of Yersinia-like OTUs in the packaging compartment raises some concerns about food safety but the cooking and storage methods may prevent the growth of these OTUs because they were not found in the cooked sausages. Figure 3. Order-level classification of the sequence reads by main compartment or material. Most of us don’t like to think about how sausages are made but it’s important that there are those who do and help to keep our food safe. Psychrotrophs sound like something you would find at Burning Man.